The agonising wait of a Raikot family for the body of their daughter ended this evening when the Safdargunj hospital authorities at New Delhi finally released the body after10 days. “We have won a small battle. But the battle for getting punishment for the persons responsible for the death of Ikwinder Kaur, alias Bindu, is on” said an agitated family member. Shiromani Akali Dal chief Parkash Singh Badal said today that the “dynastic” Congress was banking upon the perceived charisma of Rahul and Priyanka Gandhi to win the parliamentary poll as the Sonia Gandhi card had failed to click with the electorate in the Assembly elections. The Ludhiana Municipal Corporation has chalked out an ambitious plan for the construction of seven multi-level parking lots in different localities of the city. If only CM comes here more often! The district police today claimed to have achieved a major success with the busting of two inter-state gangs indulging in car thefts and looting of passengers in the region for the past quite some time. 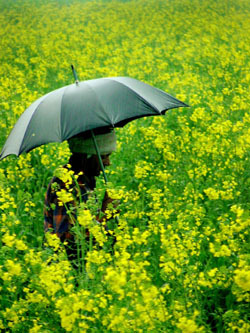 A farmer inspects his mustard field after a downpour in Ludhiana on Friday. The ‘sangharsh committee’ of Municipal Corporation employees organised a ‘silent dharna’ in front of corporation’s headquarters here yesterday in protest against the non-acceptance of their demands. Rich tributes were paid to Mahatma Gandhi on his martyrdom day here today. Congress party workers led by president of the District Congress Committee (Urban) Jagmohan Sharma, took out a 'parbhat pheri' in the morning. A number of people from Ludhiana have gone to Lahore to attend the World Punjabi Conference. Naik Chanan Singh of 14 Sikh Light Infantry, who died in an avalanche in Guraj sector of Srinagar on January 25, was today cremated at his native village, Kaddon. His body reached the village in the morning. 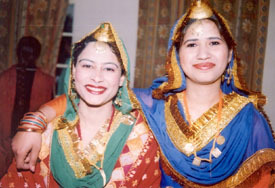 Naik Chanan Singh, 27, was the son of Kala Singh and Kesar Kaur and the only brother of four sisters. He had got married three months ago. “Indane safety clinic” was organised here by Gian Gas Service, Doraha, under the aegis of Indian Oil Corporation Limited to increase awareness about oil and gas conservation. “Ectopia-04”, the three-day cultural bonanza for undergraduate medical students of Dayanand Medical College and Hospital (DMCH), entered the second day today. The 1999 batch, with 66 points, was ahead of other batches. The 2000 and 2002 batches, with 49 points each, were in second spot. Students take part in a painting competition during ‘Ectopia-04’ at the Dayanand Medical College and Hospital in Ludhiana on Friday. Gujranwala Guru Nanak Institute of Management and Technology (GGNIMT] celebrated Basant with great pomp and show. It was fun and frolic all the way at the institute with students attired in yellow. To mark the finale to year-long diamond jubilee celebrations, the Old Students Association of Government College for Women organised a valedictory function here today. Educationist and economist Dr S.S. Johl was the chief guest. It was bon homie all around when old and new students met each other on the occasion of alumni meet of the Punjab Institute of Management and Technology (PIMT), Mandi Gobindgarh. The students felt joyous meeting their classmates and other friends. They were seen giving tips to fresh students on facing challenges in the corporate world. Thirty veteran athletes from the district have been selected to represent Punjab at the Silver Jubilee National Veteran Athletic Championship- 2004, to be held at Hyderabad in Andhra Pradesh from February 13 to 15. The annual athletics meet at Guru Nanak Girls College, Model Town, began today. 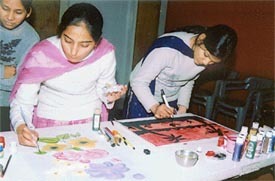 A large number of students took part. Earlier, a local councillor inaugurated the meet. The chief guest urged the students to take part in the games along with studies. In an effort to bring Chevrolet family together and to strengthen the relationship between the customers and the company, General Motors India has been organising customer loyalty programmes for a long time.